Bethel Baptist Uniontown - Blog - Shipwrecked!! Many Christians fail to pursue a close walk with our Lord and Savior Jesus Christ. Instead they choose to live a Christianity that is external, a Christianity that is only on the surface, a Christianity that seeks only to follow traditions and religious practices. They take everything at face value and never venture below the surface. That kind of Christianity misses out on a growing, deep, intimate, personal communion with Christ and really misses the whole point of Christianity. I think many Christians follow that sort of Christianity. Instead of asking how close can I walk with Jesus? They ask how close do I have to walk with Jesus to still be considered a quote-unquote “Good Christian”. That kind of Christianity can only end in spiritual disaster. 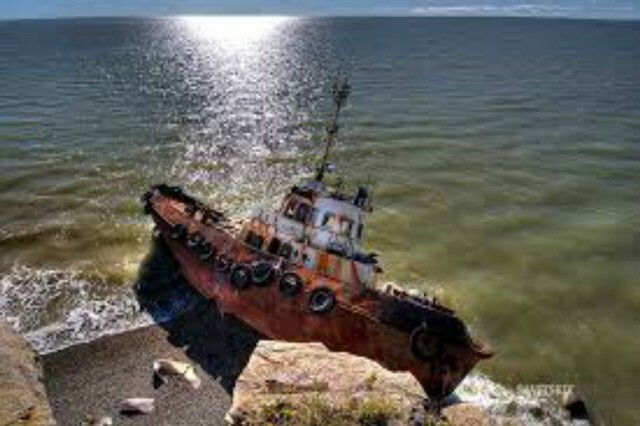 There is no greater disaster than a shipwrecked faith! Faith and good conscience. Faith and good conscience are two workings of the Holy Spirit in a Christian's walk. Understand Timothy was not an Holy Apostle, he was simply a preacher pastor but he had gifts from the Holy Spirit. One of those gifts John wrote about in 1st John chapter 2 he called it an unction or an ability to discern the truth. Timothy used those tools which drew him close to the word, and guided his actions, and guided his life. He fights the fight. He doesn’t just go along. He leads the way. He becomes a warrior for Christ. You do not become a warrior for Christ and you certainly do not fulfill prophecy if you are walking a weak external type of Christianity. You must be drawing drawing near to Christ. Let's make sure our Christian walk is on course and not headed for the rocks. Draw near to Christ.